Bitcoin Cash (BCH) supporters have been passing around a different kind of 'LN Trust Chain' across forums and social media. The social experiment for passing digital value has taken a different path to the Lightning Torch because people can share the non-divisible SLP Torch onchain for fractions of a penny. Over the last few weeks, Lightning Network (LN) supporters have been participating in a social experiment called the Lightning Torch. 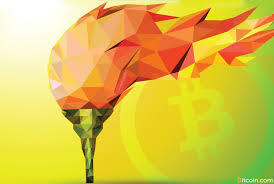 This entails sharing a small fraction of BTC in a similar fashion to the Olympic torch passing. A few weeks into the LN experiment, a BCH fan called 'Cipher Gnome' created a Bitcoin Cash (BCH) version of the torch on the Simple Ledger Protocol. After the torch creation on March 6, Cipher Gnome declared that there is only one SLP Torch and the token cannot be divided. Since then, just like the LN experiment, BCH fans have been having fun sharing the scarce token on Reddit and Twitter. The genesis creation of the SLP Torch which shows there is only one non-divisible coin. 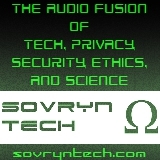 The SLP Torch has passed through the hands of people like developer Josh Ellithorpe, Don Wonton, Collin Enstad, Imaginary Username, Souper Nerd, and Bitcoin.com's CEO Roger Ver. After Ver had the torch, he decided to pass it to Paul Lambert because Lambert had a hard time trying to receive the Lightning Torch due to complications. "The SLP Torch has been passed on to the person who previously tried to use LN to receive the LN Trust Chain, but failed because it was "years away" from being ready for actual reliable use," explained Ver.